I can still come up with ideas for crackups! I was feeling a bit burned out since I made SEVEN custom figures over the month of May, so I decided to get my groove back with another happy comic, fourth for Sonic Colors. 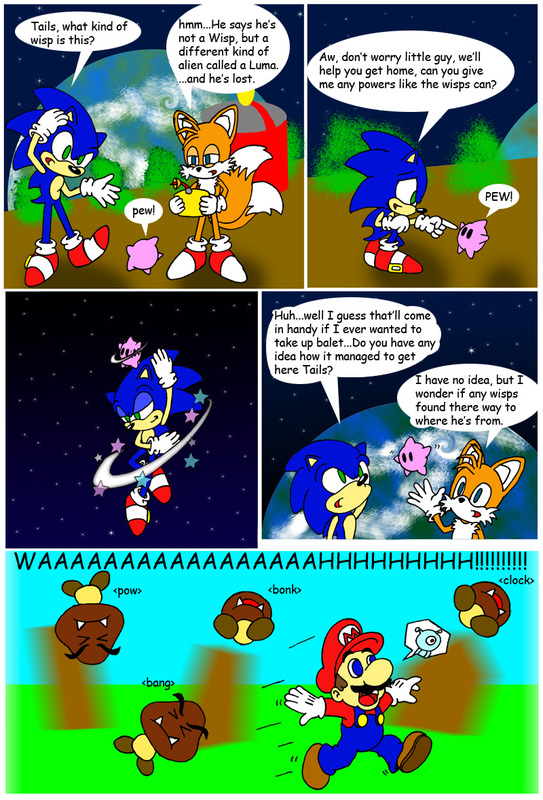 I'm not going to say one was ripping off the other, but I like how Super Mario Galaxy and Colors are somewhat similar because it opens the door for tons of hilarious crossover stuff like this. That Luma looks like a cross between Kirby and Ristar. "and that, my children, is where babies come from."